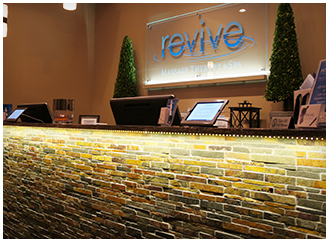 Welcome to Revive Massage Therapy & Spa – the Premier SPA in the Andersonville/Uptown neighborhood that welcomes both men and women! 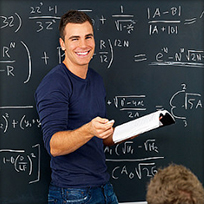 At Revive, we’ll work with you to design a session to meet your needs. Whether you are new to massage & skin care treatments or a long time wellness enthusiast, our team of Licensed Professionals will work with you to be sure you are comfortable and have the best Spa experience. Choose from a variety of services including Swedish, Deep Tissue, Hot Stone, Sports, Thai, and Prenatal Massage to help alleviate pain, discomfort and reduce stress. Rejuvenate your skin with one of our hydrating facials and skin care treatments. We want you to leave feeling relaxed, refreshed, and Revived! All 60 & 90 massages are just that. True hands on massage for the specified time that you have paid for. Most other places will only provide a 50 or 80 minute massage, charging you for the time spent changing/disrobing. As long as you arrive on time, we will honor the full length of your appointment. Great new space in the neighborhood! Wanted to get my chest waxed before vacation but was a bit reluctant. The prices are much better than some of the other spas in the neighborhood and the Esthetician was very knowledgeable. She gave me some additional skin care tips which were very helpful! I definitely will return! Hands down the best massage and facial I have ever received (and I have had plenty in my lifetime). Place is beautiful, clean and modern. I will definitely be back. I’ve had two massages here now, both 90 minutes, and with two different therapists. Both massages were amazing and exactly what I needed. Love being able to book online, makes it very easy for those of us that work in an office daily and may not want to have to pick up the phone to book our massages over the phone. Truly a hidden gem in Andersonville. One of the best massages I have ever had. Online booking is quick and easy, and I love that you can choose your Therapist. The prices are extremely reasonable and they have a great points program as well. 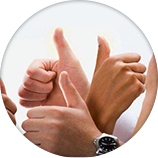 Refer a Friend and have them purchase any 60 or 90 minute service and YOU receive 25 reward points into your account. Once you accumulate enough points, you can redeem them for a FREE service. Best of all, there is no limit on the number of FREE services you can receive. In addition to earning points through referrals, you also earn points with every service! Spread the word! Simply show your current ID/Credentials to our Guest Services team member when checking out to receive your discount. Our Team of Licensed Professionals are only paid when they provide a service and only come to work when they have an appointment , so it is imperative that you provide us with at least 24 hours notice should you need to change or cancel your appointment. It is how they make a living and provide for themselves and their families. 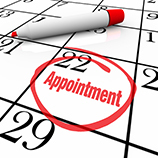 Your appointment is reserving time on their calendar and it is preventing another client from doing the same. All that we ask is that you extend the courtesy to notify us in a timely manner (24 hours) should something change and you are unable to keep your appointment. If you cancel the same day or fail to show up for your appointment, your credit card supplied to hold the reservation will be charged for the entire amount of the service and you will be required to pre-pay for any future appointments, including past missed appointments. If you have an outstanding gift certificate, package credit, or accrued reward points, they will be redeemed to cover the cost of your missed appointment.